Last Sunday the two presidential candidates, Ashraf Ghani and Abdullah Abdullah entered into a historic agreement to form a National Unity Government (NUG). This piece examines the constitutional implications relating to key features of the Agreement. The Agreement builds on two critical previous documents, including the Joint Declaration of 8 August 2014, and its annex The Technical and Political Frameworks of 12 July 2014. The Agreement commits the parties to amend the Constitution and create the post of an ‘Executive Prime Ministership’. In the interim, the new President is called on to create, via presidential decree, a series of new posts including CEO and two Deputy CEOs. These measures are to be implemented on a schedule which is appended to the Agreement. Unfortunately, this timeline has not yet been made public. It is unfortunate that neither the United Nations, who assumed responsibility for conducting a 100% audit of the votes cast, nor the IEC saw fit to release the election results before the signing of the Agreement. Reports in the media suggest that both the international community and the Abdullah campaign were reluctant to have the results released before the signing of the Agreement. However, if one were to read the Agreement carefully, it is implicit in the Agreement that the election process be concluded (and the results publicly announced) in order for the Agreement to take into effect. Throughout the Agreement there are references to President and a “runner-up” and “leader of the runner-up team”. The phrase “runner-up” assumes that there was indeed a winner and a loser from the election. Article A of the Agreement calls for the convening of a Loya Jirga to consider a proposal to create the post of ‘Executive Prime Minister’. The post of the Executive Prime Minister is to be created based on the post of CEO. Article B of the Agreement calls for the creation of an interim post of a CEO, via presidential decree, until the Constitution is formally amended to create an Executive Prime Ministership. Interestingly, the article calls for the CEO and his deputies to be introduced at the Presidential inauguration ceremony. Thus the CEO and deputies are to be introduced to the country before they are formally appointed. Perhaps this additional (and somewhat unusual) measure was included both to ensure political and public acceptance of these newly created positions. The CEO is to be appointed through a ‘proposal by the runner-up’ and the agreement of the President. However, there are no express provisions relating to how the deputy CEOs are to be nominated or appointed. The functions and authorities of deputy CEOs, as well as a ‘special protocol’ for them, are to be proposed by the CEO and approved by the President via presidential decree. The CEO is expressly made answerable to the President. A special protocol for the CEO is to beauthorized by presidential decree. Specific ‘executive authorities’ are to be delegated to the CEO within articles 60, 64, 71 and 77 of the Constitution. Key elements of the authorities of the CEO are as follows: carrying out administrative and executive affairs of government; exercising specific administrative and financial authorities; implementing and proposing reform programs; implementing, monitoring and supporting the policies, programs and budgetary and financial affairs of the government. The CEO is also a member of the National Security Council, and is given the responsibility to establish working relationships of the executive branch with the legislative and judicial branches. The CEO has a limited role in international sphere, where [he] is limited to representing the President ‘as deemed necessary’ by the latter. Article B(1) of the Agreement also provides that the CEO has the authority to participate with the President in ‘bilateral decision-making meetings’. The details of these broad functions are to be determined via presidential decree. And as noted above, the timeline for passing these presidential decrees have not yet been made public. Creation of the CEO post involves a substantial delegation of presidential authority. The 2004 Constitution plainly envisages that many of these powers will be exercised at the discretion of the President. However, nothing in the Constitution also expressly prevents the President from delegating his Presidential powers. It is relevant to note that during the drafting stage of the 2004 Constitution the idea of a semi-presidential system, including the role of an Executive Prime Minister was debated. However, at the time Afghanistan was deemed too ‘fragile’ to have two competing executives. In 2003 it was thought that Afghanistan’s first priority should be to establish strong state institutions. Given the struggle for control between the center and the periphery, in particular given the presence of local power holders in the form of armed groups and warlords, centralization of power was deemed essential. Under Article B (9) of the Agreement, the President as the head of Government leads the Cabinet. This is in line with Article 71(1) of the 2004 Constitution which provides that government ministers (including Cabinet) work under the Chairmanship of the President. The Cabinet will continue to meet at the President’s discretion. However, the Cabinet will now be expanded to include the CEO, Deputy CEOs and the Chief Advisor. It appears that the “Chief Advisor’ is yet another new position, and it is unclear how nominations and appointments to this post might work. It is also unclear what responsibilities this post might have. Under the 2004 Constitution the National Assembly can exercise a number of checks over the exercise of executive power. The Ministers can be called before the Wolesi Jirga (WJ) and be questioned about their activities. In a number of high profile cases the WJ went as far as to exercise no-confidence votes against Ministers that failed to satisfactorily answer their queries. To a lesser extent the President where he is accused of criminal activity can become the subject of impeachment proceedings. Under the Agreement, there are no provisions similarly holding the CEO, Deputy CEOs or the Leader of the Opposition to account before the National Assembly. Even if the Parliament were to attempt to question or pass a no-confidence vote against the CEO or any of the newly created posts, under the current constitutional framework, the National Assembly has no legal basis to do so. Under Article B(9) the CEO is to chair ‘regular weekly meetings’ of a newly created Council of Ministers known as “Shura-e-Waziran”. The Council of Ministers shall constitute of the CEO, Deputy CEOs and all ministers. Once again, a presidential decree is to introduce and define the Council of Ministers as distinct from Cabinet. CEO is to also have a role in providing advice and proposals to the President for the appointment and dismissal of senior government officials. On the basis of a range of factors including ‘merit’ the parties agree to have ‘parity’ in the ‘selection’ of personnel to key security and economic institutions and independent directorates. It is important to note that the word ‘selection’ is used as opposed to ‘appointment.’ This suggests that in line with the current Constitution, the President will have final authority when making appointments. This interpretation is further supported by the explicit language, in the same paragraph that provides that in National Security Council, both teams are to be equally represented at both the membership and leadership levels. Confusingly, the second sub-clause in Article C, provides that the special mechanism is to function in conformity with the Joint Declaration and article 5 of its annex. However, article 5 of the annex provides that “appointments to [key institutions] will be apportioned according to the principle of achieving parity between the choices of the President and the Leader of the Opposition [emphasis added]”. Thus the Agreement refers to consultation between the President and the CEO, whilst the annex to the Joint Declaration refers to consultation between the President and the Leader of the Opposition. Article 5 of the Annex specifically provides that appointments to the cabinet, judiciary and key sub-national appointments will be apportioned according to the principle of fair representation, chosen by the President in consultation with the Leader of the Opposition. The use of the word “consultation” once again suggests that final authority for appointments lie with the President. Article D of the Agreement provides that “the position of the leader of the runner-up team, referred to in the mentioned document as the opposition leader” will be created via Presidential Decree. Leader of the runner up team is Abdullah Abduallah. Thus, a plain text interpretation of this clause would suggest that Abdullah Abdullah will assume the post of Leader of the Opposition. However, media reports now indicate that Abdullah himself will assume the post of CEO. Interestingly, the ‘opposition leader’ is to be officially recognized within the framework of the government of Afghanistan. In particular, the opposition leader is to function as ‘ally’ of the NUG. Traditionally, opposition leaders are political opponents, with little to no formal role within Government. It will certainly be interesting to see how the ‘opposition leader’ will be an ally of the Government and at the same time be ‘in opposition’. Perhaps, the presence of the opposition leader could help facilitate more formal political opposition within Parliament. The use of the Single Non Transferable Vote (SNTV) system has meant that successive Parliamentary elections have produced fragmented parliaments that are unable to organize themselves into cohesive political opposition group(s). Somewhat unhelpfully, the agreement provides that any disputes concerning the ‘interpretation and application’ of the Agreement shall be resolved through consultation between the parties. However, given the state of the Courts, and in particular the battle over who has the power to interpret the Constitution it was unlikely that an express reference to the Courts would be made as a venue for dispute resolution. However, this clause, naturally doesn’t preclude the parties from going to the Courts or even the Independent Commission for Overseeing the Implementation of the Constitution (ICOIC) to resolve disputes arising under the Agreement. The Supreme Court has jurisdiction over all cases filed by real or incorporeal persons, including the state, before the Court. Under article 121, the Supreme Court can review inter-alia laws and legislative decrees for their compliance with the Constitution and their interpretation in accordance with the law. Given that the CEO and his deputies (and possibly even the Opposition Leader) form part of Government, there is nothing to prevent them resorting to the courts. Whatever presidential decrees, legislative decrees or laws are passed to enact the Agreement can become the subject of a dispute before a Court, or become the subject of a request for constitutional interpretation. Additionally under the law enacting the ICOIC, it has jurisdiction to hear questions relating to constitutional interpretation from a broader range of parties including the President, National Assembly, the Supreme Court, AIHRC, IEC, and Administrative Reform and Civil Service. In theory, any of these parties concerned about laws that seek to enact the Agreement could request the ICOIC to rule on its constitutionality. Unlike the Supreme Court, there is nothing to prevent the ICOIC from also interpreting the constitutionality of ‘acts’ of members of Government. Thus, it is possible that actions of the President or any of the newly created posts can also be subjected to constitutional interpretation before the ICOIC. The President, in consultation with the CEO is to appoint a commission to draft an amendment to the Constitution. Under article 140 of the Constitution the NUG is committed to holding district council elections as ‘early as possible’ in order to ensure that there is a quorum for the Loya Jirga as required under Article 110(2). Chapter six of the Constitution requires that a constitutional Loya Jirga have in its membership both houses of Parliament, and the chairmen of provincial and district councils. A Loya Jirga can only convene when 50% of its members are present. Given on-going insecurity in various parts of the country it has been impossible to hold district council elections. Without elected district council officials it is impossible meet the 50% quorum requirement. However, scholars have suggested one way to interpret the requirement in chapter six is to interpret 50% of officials ‘actually elected’. Once a Constitutional Loya Jirga is formed Ministers and Justices of the Supreme Court are entitled to participate in the Loya Jirga without voting rights. A future Jirga that is convened will need to take into what level participation is allowed for the newly created posts under the Agreement. The Agreement commits the next administration to ‘fundamentally change’ the electoral system. The President is to establish a ‘special commission’ for the reform of the electoral system in accordance with Article 7 of the Political Framework. Members of the Special Commission are to be agreed between the President and the CEO. The Special Commission will report to the CEO on its progress and the Cabinet will review its recommendations and take on the necessary steps for their implementation. The objective is to implement electoral reform before the 2015 Parliamentary elections. 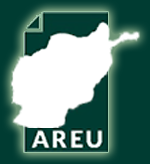 The NUG also commits itself to completing the distribution of electronic/computerized identity cards to all citizens as ‘quickly as possible’. It is important to note that there is a constitutional prohibition on the Parliament from amending the electoral laws a year out from the Parliamentary elections. Unless Parliamentary elections are significantly delayed, any electoral reform will have to take place via presidential decree. In the past, attempts to rush through electoral reform before an impending election have not proved fruitful (as the events of the 2014 elections illustrate only too well). Thus any effort push through electoral reform should be driven by an inclusive process consulting all stakeholders including electoral authorities, civil society, parliamentarians and political parties.